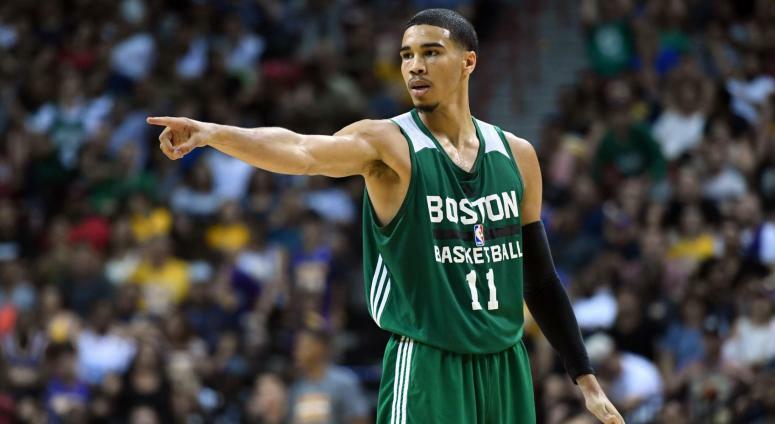 JAYSON TATUM: "READY TO LEARN EVERY DAY"
We came across a good read on Boston.com by Nicole Yang speaking to Duke coach Mike Krzyzewski about his thoughts on Jayson Tatum's rookie year with the Celtics. You can read the entire article here but below are some thoughts from Coach K that stuck with me. I thought it was fascinating that Coach K considered wanting "to get better" as a strength. He didn't dismiss his talent but made sure to point out that Tatum wants to improve each time he steps on the court -- and that was certainly the case this season. As for areas of improvement, Coach K mentioned talking. We are always imploring our players and teams to talk more so it's nice to see one of the game's best coaches recognize its importance. Another critical form of learning is listening and seeing -- which Coach K says is also a strength of Tatum's. He cautions, however, there’s no need to overdo it. In moments when Tatum might seem quiet or reserved, Krzyzewski said it’s because he’s listening and observing. 1. Switch with teammates of equal or near-equal size on screens and crosses. 2. Switch to keep big players inside and small players outside on screens. Do this on changes and crosses away from the ball when possible, and on matching up in transition defense, as well as in recovering on rotations. Any communication that can allow a switch to accommodate the big in-little out concept is usually worthwhile. 3. Switch within fifteen feet of the goal. 4. Use the “emergency switch rule.” That is, switch whenever a situation arises in which a switch will challenge an open shot, regardless of the mismatch as X2 does for X5 in D-60. Communication. Even though we have rules for switching and a game plan to dictate in which particular situations we’ll switch against a given team, no switches are considered automatic. Players must physically come together when possible and call out verbal signals such as “switch”, let me through”, “stay”, “get through”, “I’ve got high”, “you take low”, etc. In addition to the verbals, it’s necessary to use the hands to point and pull or push each other through switches and stays when necessary. Switch and deny should be considered as one big word- “switchandeny”- because both actions go together when done properly. That is, when there is a switch, something must be denied to each offensive player involved in the switching. If neither one has the ball, the defenders switch aggressively to stay in a position to deny each one the next pass. If one of the players has the ball, the defense works to deny the pass to the one who does not have the ball and to deny an easy shot or route to the basket to the one who has it. This helps prevent the laziness in defense that can occur when a lot of switching is used. Accepting this point can help players better understand that switching is not an easy way out of performing hardnosed aggressive defense. Areas where most of the switching will be done. The backcourt is an ideal location for switches and pre-switches. (The latter is a switch done ahead of time by two players inverting their assignments because they know there is a high likelihood they will be switching anyway. This way they do not have to try to get back to their own men in the frontcourt.) There is plenty of time to get rid of mismatches that occur 80 feet from the basket and a lot of time can be wasted by the offense in the backcourt as the offense struggles to bring the ball up against a good, aggressive switching defense. Day after day, sometimes deep into the night, Gardner would hone Thompson's shooting form into the fundamentally perfect quick release you see today. There was a drill in which Gardner would drop a hula hoop over Thompson's head at a 45-degree angle as he shot so he would stay straight up and down. Another drill in which Thompson would shoot with a hat on to keep his head steady and trust where the ball was, without looking at it. And, of course, the drill in which Gardner would hold a towel and rubber bands below Thompson's arms, to keep his top half high without bringing the ball down -- ever. "I had Klay from such a young age, it really helped," Gardner says. "And he still comes by to work. He'll just show up out of the blue at my house, like, 'I wanted to get some shots up.'" Warriors assistant coach Chris DeMarco has worked with Thompson personally since his rookie season. By now, DeMarco is used to the texts asking him to come back to the facility at night so Thompson can get up extra shots. "More than anything, he just loves the game. He loves playing basketball, and he loves shooting," DeMarco says. "He's like a kid in the backyard, just playing for hours." There's a simplicity of focus in all the characterizations of Thompson that's hard to reconcile with the flaky, laid-back guy who keeps losing his driver's license. How can a person be so laser-focused on one thing and so unfocused on everything else? Simple. Basketball matters deeply to him. The other stuff doesn't. "I usually wake up, go to the facility, get breakfast, get my shots up. About 100," Thompson says casually. "I'll get stretched, ice tub, maybe get Subway. Play with [my dog] Rocco in the backyard. Take a nap. Go to the arena. Have fun. Hopefully we win. It's that simple. I do that 100 times a year." "I wish I was Klay Thompson," Kerr says. "I envy him. He doesn't really care what anybody thinks. But the way it manifests itself is so natural and normal. He just loves to play, he loves his days off, he loves getting outside, loves the beach. "He's not low-maintenance. He's no-maintenance." "If he had a huge ego, this doesn't work," Warriors forward Draymond Green says flatly. "It just doesn't." Those who know Thompson best say there is an ego in there. It just manifests itself differently than almost any other All-Star. He's ultracompetitive, yes, but without the chip on his shoulder. 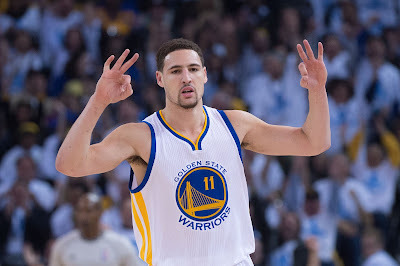 "I have never heard Klay say, 'This is B.S. ... This guy is shooting too much, that guy won't pass, or I'm not getting enough looks,'" his agent, Greg Lawrence, says. "I used to actually get upset. Man, I should get more love," Thompson says. "Then I was just like ... none of that stuff really matters. As long as you go out there and ... you've got the best job in the world. You don't need to get gratification from the internet, or social media. "Because you'll never find it, first of all. And you'll always find a lot of bad stuff. To me, as long as you play hard and have your dream job, shoot, I'll take that. That's all that matters to me." "Everyone's like, 'Don't you want your own team? Don't you want to go be a star?'" 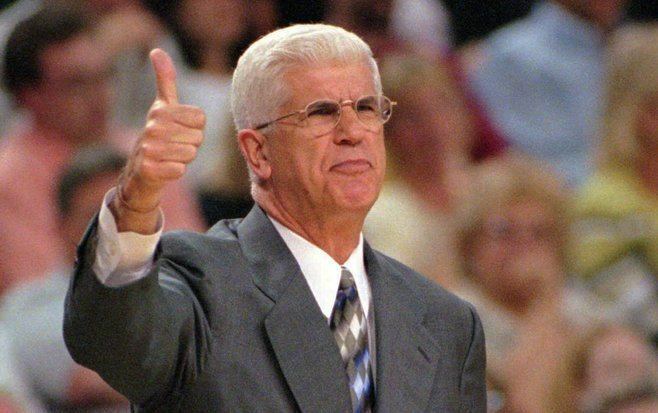 Thompson says. "Man, winning trumps all. This is the only franchise I've ever known. It's not only about the individual accolades. Nowadays, because there's so much star power in the NBA, the team aspect kind of gets lost. But I'd rather be on a team that can make an imprint on history. We've already made an imprint, but it can be even greater. That's what drives me." WHAT ARE YOUR SUMMER PICK UP GUIDELINES AND GOALS? I'm a big believer that what a player and/or team does when the coaching staff is NOT around goes a long way into the success level of said player and/or team. Discipline is about what you do when no one is around to watch. Obviously, there is no bigger range that the summer months when on the collegiate level, we have no access to our players in regard to what they are doing on the court. 1. Commitment: The staff can make the gym available but it is up to the player and the team to make use of it. During our Final Four run at LSU, the players would drive us crazy to open the gym for them. Seimone Augustus would play 2 hours of pick up with the Lady Tigers and then drive across town and play pick up with a boys high school team. Several of our players would head to the rec center to play with men after pick up. 2. 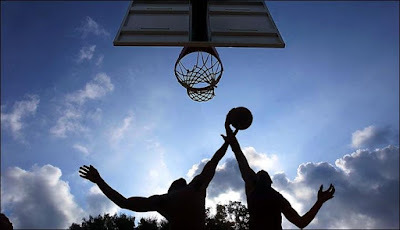 Concentration: It is not enough just to walk in a gym and play. The great players/teams go into each opportunity knowing there are specific things that they need to work on and they must have a high level of focus during pick to improve upon those areas. 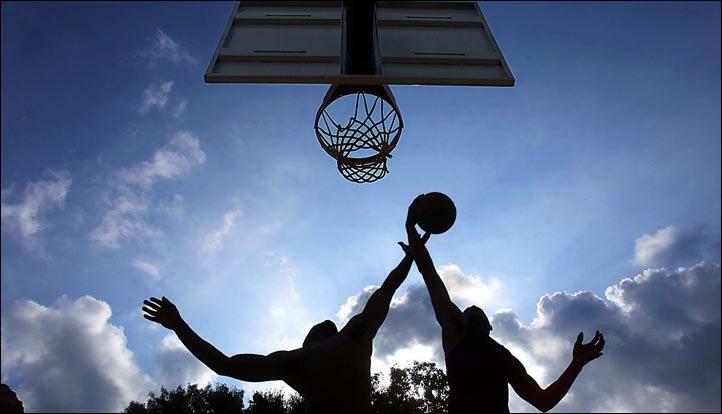 Habits can be developed and improved upon in the summer --good ones and the bad ones -- based on the commitment and concentration of the player(s). 3. Effort: The average player goes through the motions in pick up and in their summer workouts. They will give a little effort at times but nothing consistent. And that is largely why they are "average" players. While we can't be there with them, there are ways for us to enhance the off-season process for the players. The first thing is to meet with the players individually and the team as a whole and talk to them specifically about the areas that need to be worked upon in the off-season. My suggestions would be to give each player something they do well and encourage them to continue to improve in that area. John Maxwell talks often about how the great ones know what their strengths are and work hard so that it remains a strength. Obviously you should also give them a couple of weaknesses to improve upon. With some players, you might be able to list 7 or 8 things -- don't. Less is more. Pinpoint a couple and challenge them to come back in the fall better in those areas. Be specific in how they need to go about improvement. It is not enough to tell a player to work on her dribbling with her weak hand in the off-season. Give her some specific drills that she needs to do during the summer and how often you think she needs to do them to gain improvement. We had one player at LSU that was a very good player but had a poor left-hand. We gave her a list of drills to work on her game. But we also told her she was not allowed to use her right hand in pick up -- and we told her team this as well. We wanted everything she did (other than shoot) to be off of her left hand. Don't expect to tell a player to work on something and not tell her how. Finally, you should be specific in what you expect to see in them when workouts in the fall start. Paint a picture of what you want to see and share that vision with them. Part of this process should be follow up. "How's the work on your left hand coming?" "Are seeing and feeling any improvement?" 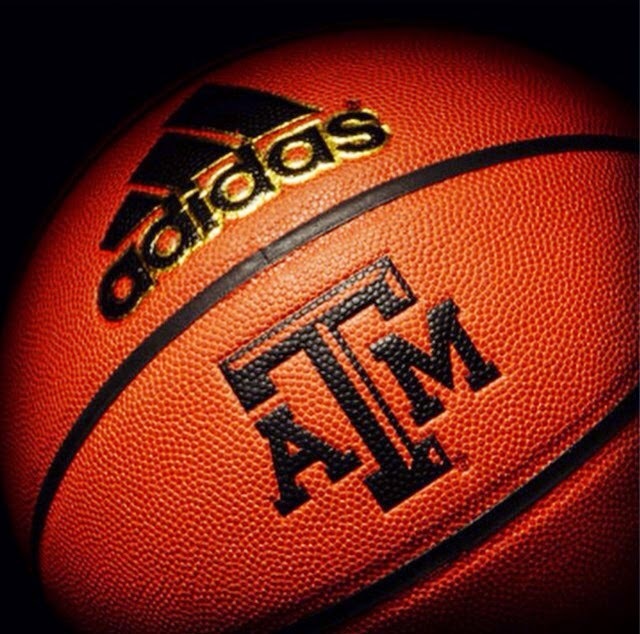 The other thing we did at LSU and now at Texas A&M was to create guidelines for playing pick up. These not only applied in the summer but anytime during the fall and spring when we were out of season and playing pick up. Obviously they need to specific to your philosophy and how you play the game. These were typed on a sheet and placed in their notebooks and we went over them with the team in detail early in the fall and right before summer. Is there any other way?! A few weeks ago I attended a Coaching Roundtable in Arlington, Texas with some very bright coaches from the collegiate and professional ranks. One of the topics that was brought up was maximizing summer pick up. Here are some of the things I took way from that discussion. Gives them a chance to know where they stand with their teammates. Makes captains give thought as to who they think can help them win. Play to 7 or 8 points. This creates a greater sense of urgency and can cultivate more intensity. After a team gets to the point total needed to win, a player (selected by the losing team) must hit a free throw for the victory to be complete. Otherwise another game is started at 0-0.
you have a chance to a good team." I can think back to every team I've been involved with and the ones where our best players were the most committed, we had outstanding success. On those teams where our best players gave less than their best, our team fell short of achieving the level of potential possible. Look at some of the best NBA teams and equate work ethic with their best player. Boston Celtics and Larry Bird. Los Angeles Lakers with Magic Johnson and Kobe Bryant. Miami/Cleveland and LeBron James. And the Golden State Warriors and Steph Curry. In an article for ESPN.com Baxter Holmes wrote of the culture of the Golden State Warriors and the "Curry effect." Practice ended hours ago at the Warriors' Oakland facility, and Klay Thompson is heading toward the door, the last Warrior to leave. It's May 11, a few days before the Warriors open their much-anticipated conference finals series against the Rockets, but Thompson pauses before exiting. 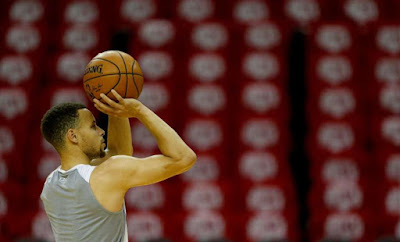 He looks across the empty court, at a far basket -- the one Curry shoots on every day. "He works as if he's still a rookie, [as if] he's still trying to make his way in this league," Thompson says of his Splash Brother, a teammate for seven seasons. "We all see that, and it makes us go to our hoops and put [in] work. No one wants to be off the floor before him, because this man is the one." Indeed, before practices, Curry and Fraser choose from a menu of more than two dozen items, depending on which aspects of Curry's game need sharpening. Maybe shooting off-the-dribble jumpers or shooting after high-ball screens or ballhandling drills. Repetitions vary, but Curry always ends his sweat-soaked workout with 100 3-point attempts, often making in the mid- to high-80s -- and frequently into the 90s. After all his makes, Curry will sit beneath the basket, his back against the stanchion, his chest heaving up and down, a bottle of water between his legs. By this point in the day, he's often one of the few Warriors on the court, if not the last. It has been this way for years. Coach Steve Kerr and Curry’s teammates also talk about the “energy” he brings to the team and how it is contagious. Ask Curry's teammates to describe his impact, and more than pace or space, they'll cite an on-court energy when he's among them -- one that spreads throughout the crowd. "There's a different feel in the arena," Kerr says. "Similar to Michael [Jordan], there is just this awe factor from opposing crowds, and every crowd is sprinkled with Steph jerseys no matter where we are, and there's a palpable excitement when he gets going. In Oracle, it's the tidal wave. And on the road it's like, 'Oh, my god, I can't believe what I'm watching.'" Another word that teammates and coaches use to describe Curry is humility. "There's a humility about [Curry] that you can't really be taught at this point," Thompson says. "And he's just easy to joke with. He'll joke with our video interns, he'll joke with our owners, he'll joke with our equipment guys. When you see your best player being loose and disciplined -- like, it's a fine line, but when you can walk both lines, it just makes for such a nice work atmosphere." Assistant coach Ron Adams, who just turned 70, is the Warriors' sage, imparting wisdom from nearly three decades in the NBA. "I think every day he realizes how lucky he is," Adams says. "He also realizes the joy that he can bring to people's lives -- not only his teammates, but I just think in general. "He pulls that off better than any pro athlete I think I've been around." 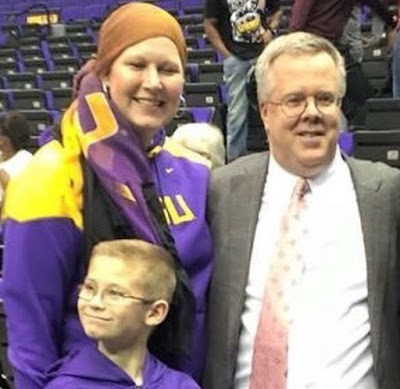 It was a difficult drive on Wednesday to the northern part of Texas to celebrate the life of Wendi Jones who passed away after a second battle with breast cancer. As I pulled into Keller United Methodist Church I for some reason parked towards the back and entered on the side. Walking through the door I found myself on the church basketball court. How ironic! It was basketball that first introduced me to Wendi. I was a member of Dale Brown’s staff at LSU while Wendi played for the Lady Tigers. There was a such a great respect for both programs and we supported each other in every way imaginable. The women would practice from 12:30 until 3:00 PM while we would take the floor at immediately after. I loved watching Coach Sue Gunter teach and would often head over to the gym well before our practice time to watch the Lady Tigers. Their teams in that era were excellent. Three things I remembered about Wendi was that she had an element of toughness, she played extremely hard, and she was a wonderful teammate — always with a great attitude. These intangibles would served her well through life. Later when Coach Brown retired, I had the opportunity to join Coach Gunter’s staff and one of my responsibilities was alumni relations. My conversations with Wendi turned to alumni weekend visits and updates on her life and family. The next link to my relationship with Wendi came about through breast cancer. My wife Sherie, was diagnosed in 2007. We made a decision to be public in our fight and see if we could raise awareness and money. I think it was because we went public that Wendi’s husband Trent felt comfortable reaching out to me when she was first diagnosed. Over the course of the next few years there would be various conversations, text messages and communication through Facebook. I never ended one without thinking what an amazing attitude Wendi possessed. I rallied our Lady Tiger family around her reaching out to our professional players as well. Seimone Augustus, Sylvia Fowles, Temeka Johnson and others reached out to her and sent her things like their pink WNBA game shoes, head bands and more. The last time I physically saw Wendi was at an LSU basketball game two years ago — alumni weekend. I was by then on the staff at Texas A&M but couldn’t wait to see her and for the first time meet her son Ryan. On that day, I wore a special pink Breast Cancer Awareness tie in her honor while she and Ryan were decked out on purple and gold. It was a great day. I was out of town a few weeks ago when Trent let me know that Wendi’s time was near and that she was at peace with everything. I couldn’t help think how fortunate she had been to have Trent along for this journey. Unless you have held down the responsibility of caregiver, it’s hard to understand the energy, effort and toll it takes. Trent was amazing and I have so much respect for him. It was a beautiful service with teammates Barbara Henderson and Shelly Raines there. Barbara spoke and told some stories about Wendi that brought out her caring nature and her sense of humor as well. As I looked around the church, it was at near capacity — a testament within itself. As Coach Don Meyer would say, “You can tell more about someone at the funeral than you can their wedding.” Among those in attendance were many junior high and high school students — too many to count. Wendi was a teacher — it would be shared by her friend Lisa Bradley that was named Teacher-of-the-Year three times though it was already obvious how well she did her job by those students in the pews. I thought of the quote by Henry Brooks Adam, "A teacher effects eternity, and you can never tell where the influence stops." Looking at all these young faces I knew that the lessons they learned in Wendi's classrooms were important but the example she lead will be with them forever. The family asked that in lieu of flowers that we “donate to a Breast Cancer charity of your choice.” Today I will make one to the Kay Yow Fund in Wendi’s name. I would ask that all of us that knew Wendi do one other thing. I firmly believe that the best way to honor someone you’ve lost is by the life you live. Wendi has given us all a great blueprint in her servant leadership example. Thank you Wendi. You will be missed but certainly not forgotten. For as Barbara Henderson reminded us, Sue Gunter taught us the on the court or off the court is it always US. If you give a boy a baseball, he will want a bat to go with it. You’ll buy him the best bat you can find, and then he will probably want a bucket of balls and a glove and some cleats too. Then, he will probably spend hours begging you to go out in the yard to play with him, even though you may want to sit on the couch and watch tv. He will insist. And his insistence will win. And when a boy gets a jersey, he will need pants and socks and a belt to go with it. And a TEAM…..
And then life as you know it will end. There will be no more lazy weekends watching tv. You will see more sunrises than you ever thought possible. Every spare minute of your time will be spent hauling buckets and bags and stinky cleats and crazy boys all over tarnation for hours to practice for a game. And your house will be a mess. And your car will be dirty. All because you gave a boy a baseball. Your weekends will be spent freezing or burning to death on a fold up chair. And his weekends will be spent gaining confidence and friends, and learning new skills and having fun and getting dirty. So dirty in fact that you will have to learn how to do laundry in a whole new way, like maybe at a carwash using the pressure washer. And you will be there the day he hits his first home run, first strikeout, and his first double play. And he will make you SO proud. The other moms will congratulate you. But you feel weird saying thank you because it's not you at bat or on the mound. It's everything him. He did this. And right before your eyes, your little boy will be transformed from the baby who spun around with his head on the bat, (because he loves attention), into a pitcher. Because he loves attention still. When you give a boy a baseball , you give him more than just a ball. You give him a sport, and a talent, and hope, and dreams, and friends, a new family, a place to learn about life, room to grow as a person where he can push his limits, and bravery, and courage and LIFE, and memories. And he will have ALL of these things, simply because you gave a boy a baseball. Because you gave a boy a baseball, you too will develop new/lifelong friendships, developed solely from the same passion for the game and love of your team. You will root together. And spew PG-13 things out of your mouths together. Because you gave a boy a baseball. All because you gave a boy a baseball.